I love using exfoliating face washes and this one is brilliant. It worked well with my Magnitone and left my skin feeling clean, soft and healthier. 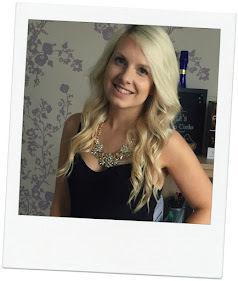 The Elemis Skin Glow range is really affordable so I'd quite happily repurchase this! This stuff smells amazing, feels amazing and works amazing-ly. I was quite sad when it ran out. It's great before shaving, before tanning or when tan starts to fade. I'll definitely buy this one again once I've tackled my rather large stash of products. Does anyone else love it when a pair of products finish at the same time? I always used this gorgeous scented moisturiser after exfoliating with The Breakfast Scrub so to have them finish at the same time is quite satisfying, though I enjoyed using them both and would rather they didn't run out. 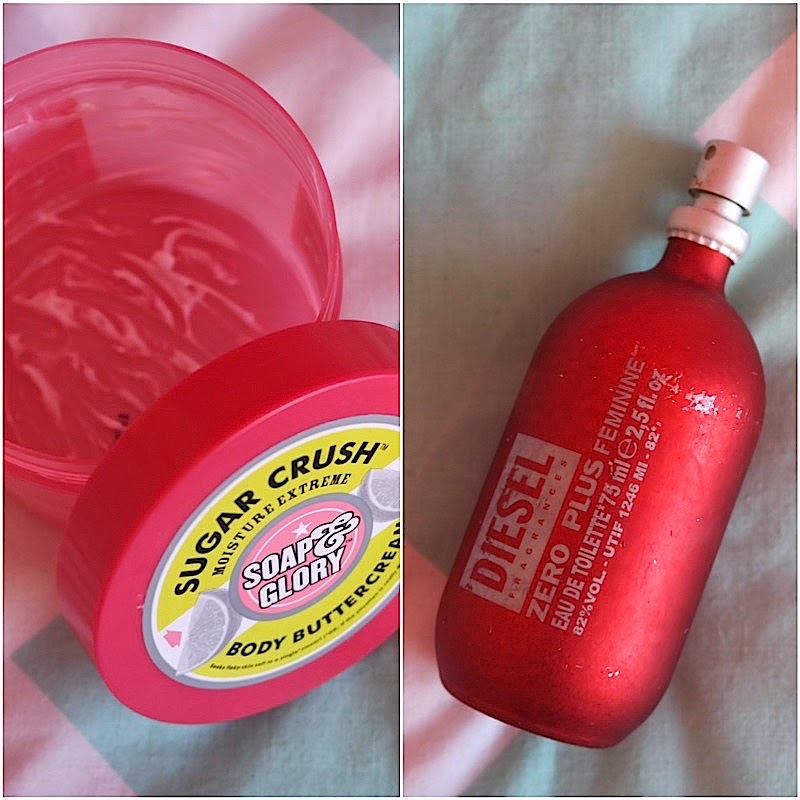 Another Soap and Glory favourite that I'd buy again. This is a bit of an antique, just look at the state of the bottle! My brother bought me this perfume for Christmas probably about 10 years when it was very trendy. I didn't quite finish the bottle and somehow it stayed hidden in my perfume tray for all this time. Thankfully I had a bit of a clear out and it didn't make the cut. Judging by the battered appearance of this tin it's been hanging around for a while and been quite well used. It's not often I use a whole tin of vaseline (or cheaper version of petroleum jelly) without it being lost in the process. This one is quite nice and the aloe vera is a nice added touch. When No7 introduced their Match Made service I tried it out and ask for a foundation that was good for dry skin. 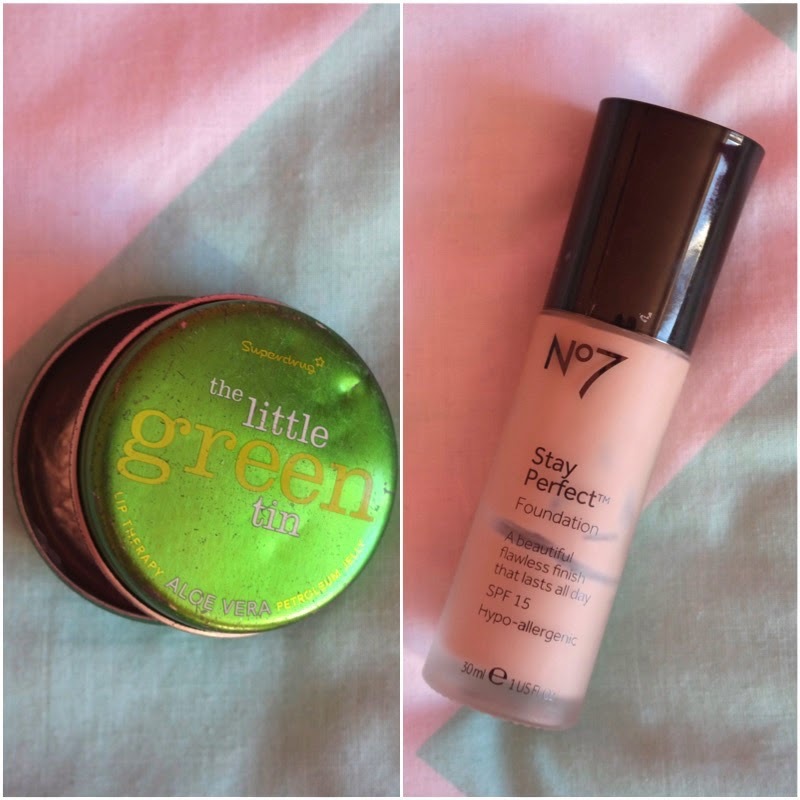 I was given the 2nd lightest shade and recommended to get the Stay Perfect liquid foundation. I enjoyed using this, it was nice to have a foundation that actually matched my skin really well and didn't at all oxidise. Unfortunately it had quite light coverage and I prefer medium so I'm not sure if I'd buy it again soon but it's good to know the right shade and that it's out there for us dry skinned girls. A boring basic, but another empty in February. 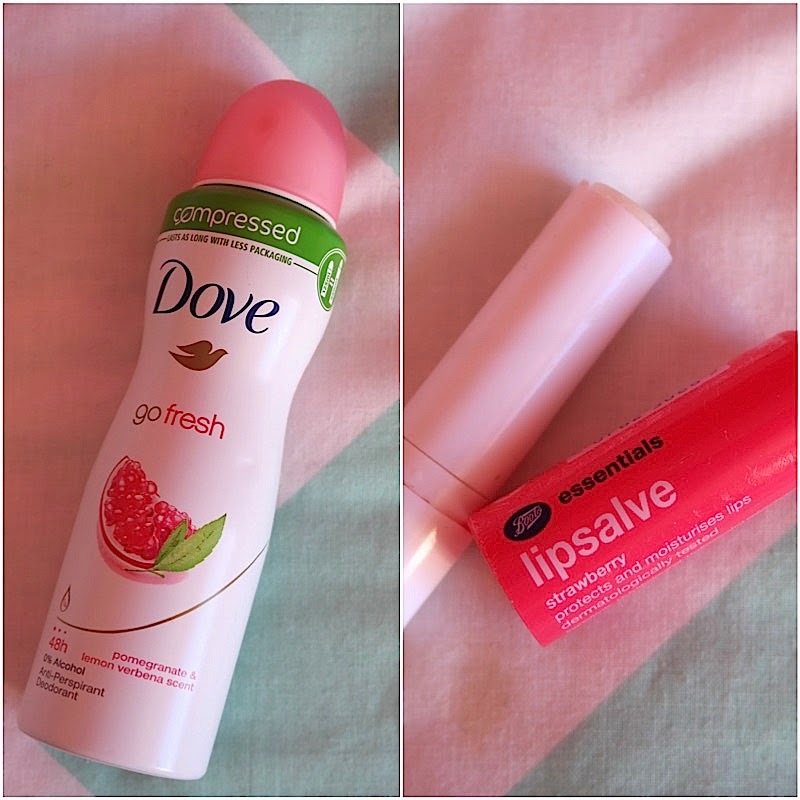 I really liked the pomegranate scent and the antiperspirant worked quite well. I'd buy this on offer but it's not my top pick when it comes to deodorants. Another lip product that's all used up! I like to have lip balms all over the place, just in case. This strawberry lip salve is super cheap and does the job - perfect for in a jacket pocket or popping in a handbag. I'd buy it again for that very reason. The dove spray deodorants just launched here in the US. Looking forward to try them! 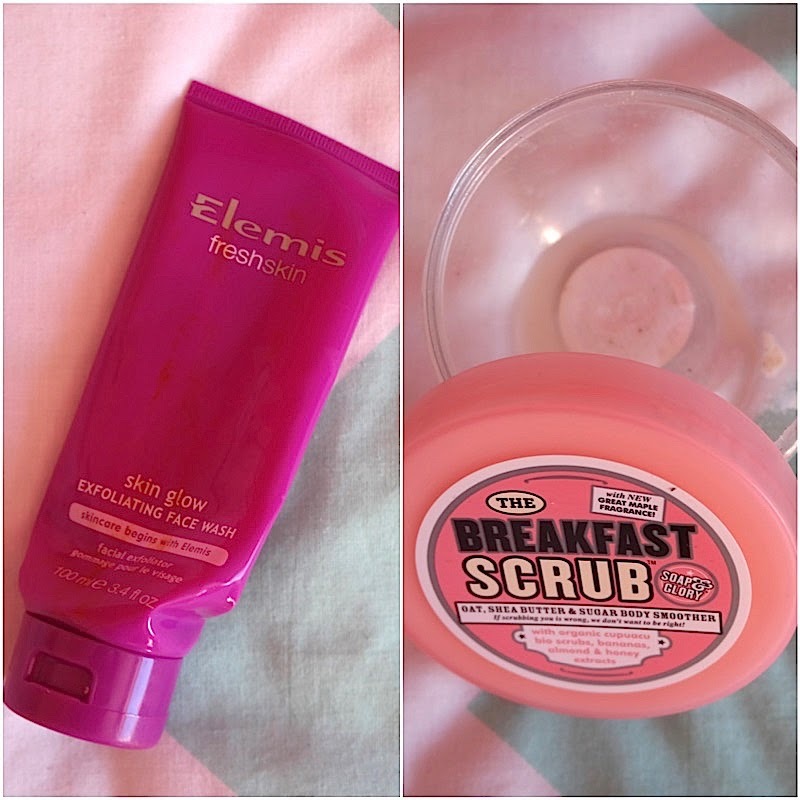 i really want to try some of soap & glory's stuff but i'm not sure we have it over there! I need to try Elemis Skin glow! Good selection of products!